3.Which of the following is contained at the end of the computer file name and helps to determine the type of file ? 4.Which of the' following is a text-based operating system? 8. ………. is an area of a computer that temporarily holds data waiting to be processed, stored or output. 9.What is the name of a computer pointing input device? 12.Which of the following is not one of the basic components of a desktop personal computer system? 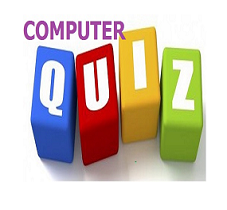 13.Which of the following is not an output device in a computer system? 14.What do we use to change the appearance and positioning of text document in MS Word ? 15.What is the full form of BASIC?